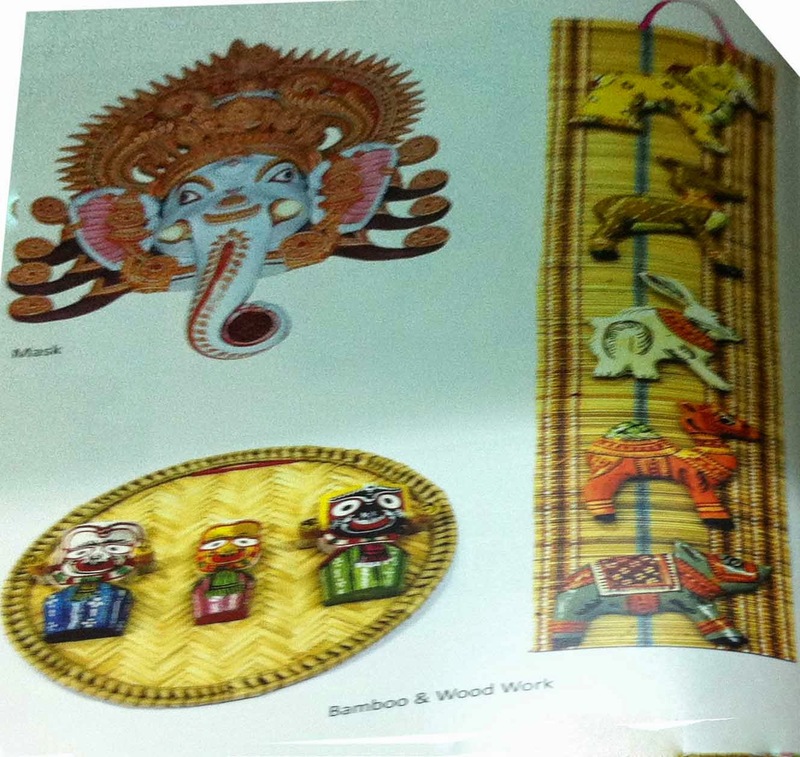 Odisha was known as ‘Utkal’ for its excellence of arts and crafts. It is endowed with varieteies of crafts which are an integral part of its cultural heritage. The temples, caves, sculpture and artefacts are not only manifestation of superb skill and creativity of the craft persons but also, enthralling every connoisseur. The stone and wood carving, silver filigree, appliqué works, traditional patta painting, palmleaf etching, brass work, dhoka works, tribal jewellery, terracotta, lacquer craft, etc are popular crafts of Odisha and offer wide range of artistic as well as utility products. 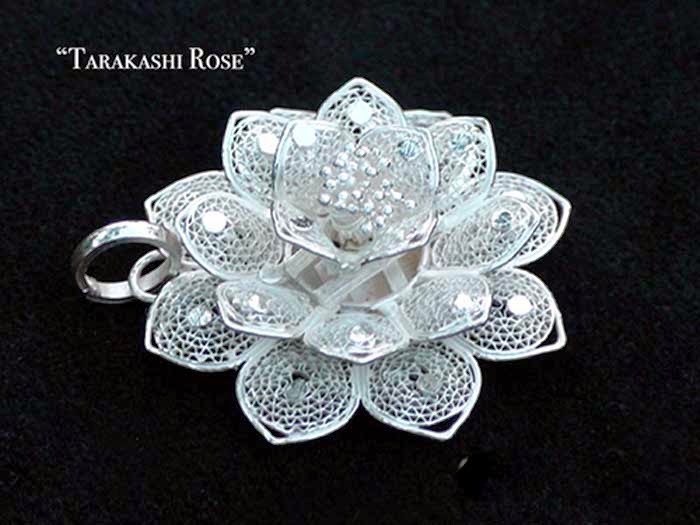 Odisha is known for its exquisite silver filigree work. For this one has to travel to Cuttack, where one can still see workmanship of a very high quality. 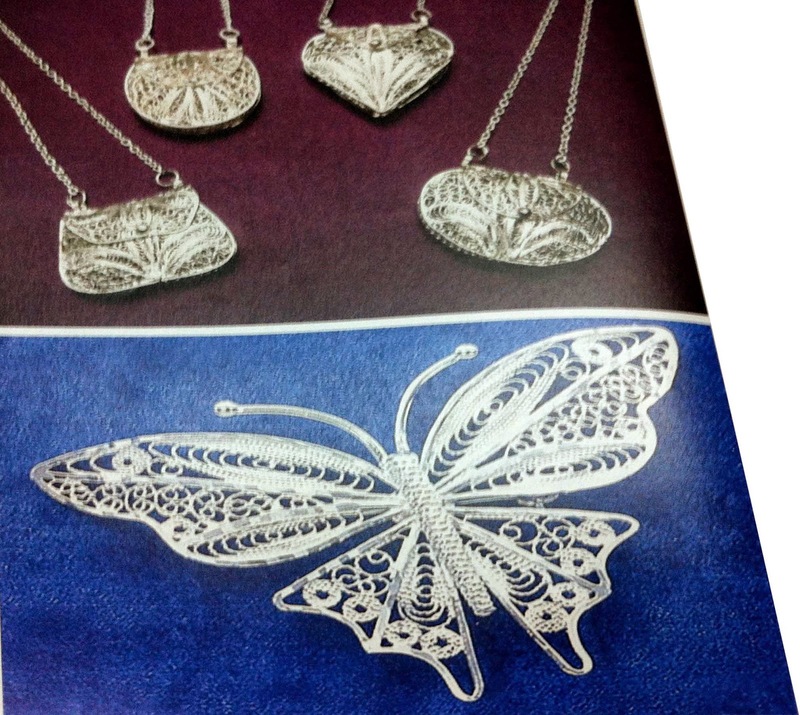 Silver filigree or Tarakasi is an intricate process. A magnificent piece is the chariot of the sun, with its seven horses riding the wind as it were. Birds, boxes, trays, cutlery, rings for table linen are done, with as great an artistry as the ornaments. 'Applique', which is a French term, is a technique by which the decorative effect is obtained by superposing patches of coloured fabrics on a basic fabric, the edges of the patches being sewn in some form of stitchery. Though the form is not unknown in other parts of India, it is Odisha and specially in Pipli that the craft has a living and active tradition continuing over centuries. The applique items are mainly used during processions of the deities in their various ritual outings. Items like Chhati, Tarasa and Chandua are used for the purpose. 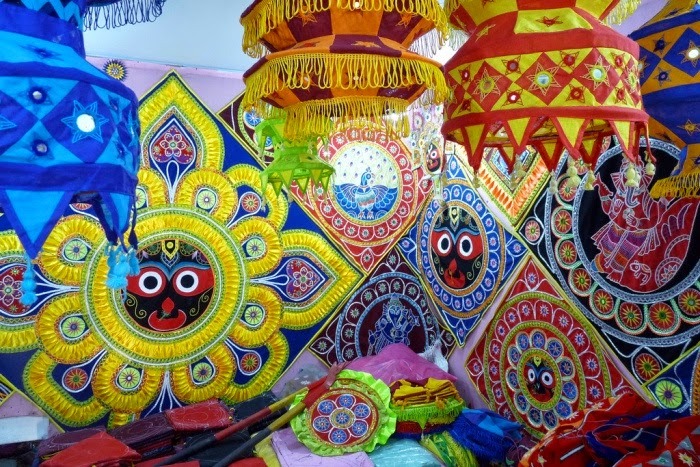 However, the applique work in its colourful best is most prominent in the cloth cover of the three chariots of the presiding deities in which they travel every year during the Ratha Yatra or Car Festival. The fine engravings on brass and bell metal utensils, bronze bangles and pots are important aspects made of metal, particularly brass, find pride of place in the homes of Odisha. Beautiful lamps and lamp stands are used during the worship of deities. Potters of Odisha still make earthen pots to be used in various religious and social functions. These pots are made in various shapes and sizes and are adorned with fish and flower motifs and geometrical designs. Horses and elephants in terracotta are the best attractions of Terracotta work. Stone carving is an old age craft of Odisha. The carved product include replicas of Temples, images of gods and goddesses, the Konark wheel and horse, and decorative figurines like Alasa Kanya( the indolent damsel)etc., which are popular items of household decoration. Apart from these, Odisha has many other item of Handicraft such as Sola patch work, lacquer work, jari work, glass beads, cloth garlands, camphor garlands, jute carpets and above all the sea-shell works undertaken at Puri and Gopalpur.